Cavendish Property Developments, the commercial property arm of New Charter Group, has appointed Blaze Marketing and Just PR & Marketing to undertake an integrated campaign for its £8m private ‘build to rent’ residential regeneration development. The development also includes 244 sq m of commercial retail and leisure space. The scheme consists of 67 new homes and overlooks Armentieres Square in Stalybridge town centre in Tameside. Summers Quay is viewed as the next best thing to city centre lifestyle renting. The development offers the convenience and benefits of canal-side, urban living but within a suburban setting. It is close to green spaces and as well as swathes of countryside being easily accessible and also overlooked by the apartments. 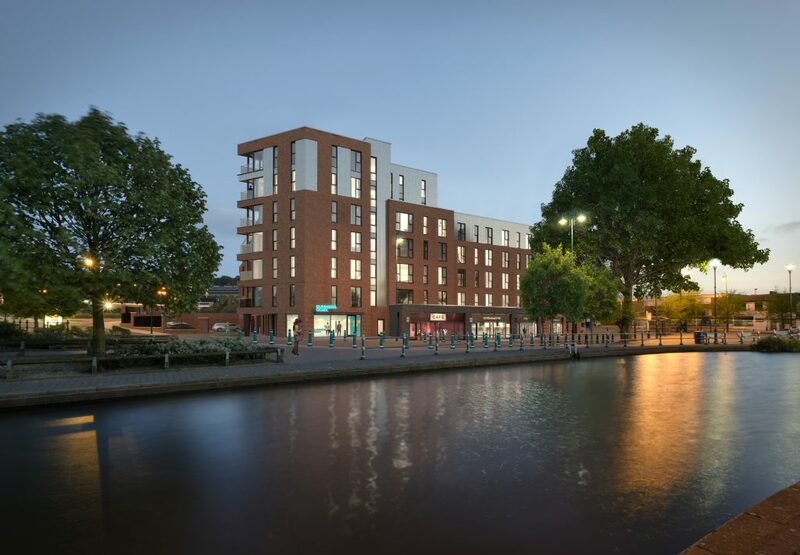 Summers Quay is being developed by New Charter Group via Cavendish Property Developments in partnership with Tameside Metropolitan Borough Council. The contractor for the scheme is Rowlinson Construction and it was designed by Pozzoni Architects. The development has been named after Ada Jane Summers (nee Broome), MBE JP (1861-1944) who was the first British woman to sit as a magistrate and one of the first in England to become a Justice of the Peace. She was also the first female councillor, mayor and freeman of Stalybridge, as well as a philanthropist.